from this rich source flowed. gave Odin the mead double power. like honeydew in Suttungs Mead. will stand clear before their eyes. translation from Norwegian by Rune Bjørnsen ( Heiðingi ). 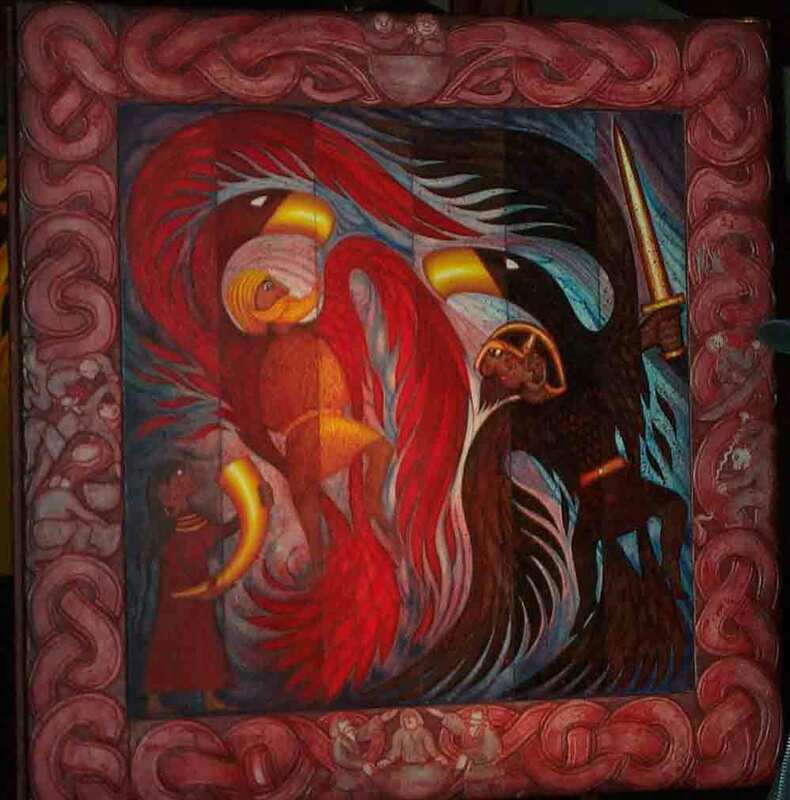 Image: Odin and Suttung in eagle´s form fighting over the mead of poetry. Part of "Gudekvad" by Thorolf Darje, an exhibition in the Museum of History, Oslo.